Find city information about Templeton, MA including homes for sale in Templeton. 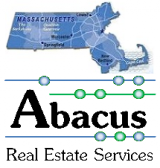 Pradium Realty services residential owners of Central and Eastern Massachusetts specializing in first-class Real Estate consultation through the integration of people, experience, systems, and technology. Pradium Realty - holds a unique and impressive brand in the marketplace, one that helps to greatly elevate the exposure of our client’s property. This is the direct result of a key focus on "Quality Marketing Strategies" for Luxury & Residential Properties. We assist clients in every stage of the Buying and Selling real estate process, offering representation in the buying, selling and valuing of Real Estate according to our Clients’ needs and goals. Pradium Realty Servicing Massachusetts Residential, Commercial and Investment Clients.